I’ve seen the Gila River before. I stared down at it from a bridge three hundred miles ago. I saw it again a hundred and fifty miles later from another bridge, this one just past Safford. The river flowed broad then, a flat tongue of water in wide valleys turned green with pieces siphoned off for agriculture and washed back in with chemicals. Here the river is new, carving its existence off the eastern slope of the Mogollons, pulling down the mountains a grain at a time as it is born. There are no bridges here, only fords, hundreds of them, back and forth from one bank to the next as the river twists to life between steep walls of rock. Streams spill in from side canyons, their flow bolstered by the storm that drove me from the mountain tops. Each pays tribute, sacrificing itself to the greater flow as they disappear into the river one at a time. I splash across ford after ford, picking my way downstream. 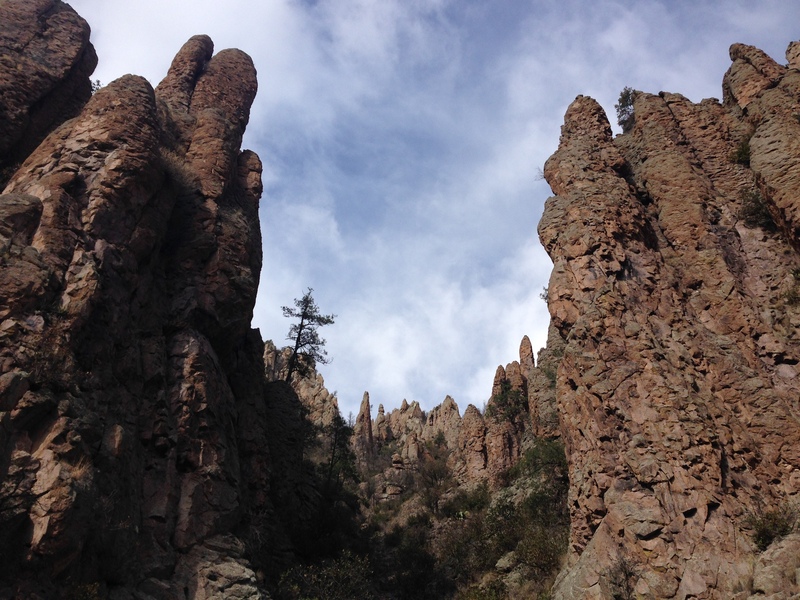 Rock spires watch me pass, waiting their turn to fall to the river’s hunger. The Gila gathers itself piece by piece, bend by bend. I feel its strength in the water rising to my ankles, to my shins, to my knees, to my thighs. The Gila comes to life around me, growing into the river it will become, the river I already met three hundreds of miles away. BREWS AND CANOES on July 22nd! If you’re in the southern Minnesota area, next Wednesday, July 22nd, I’ll be doing a presentation in Mankato at the Mankato Brewery for the Friends of the Boundary Waters’ Brews and Canoes Adventurers Series. It’s going to be a lot of fun and I’ll have some great pictures and videos of various adventures to share. Here is a link to the Facebook event page (https://www.facebook.com/events/1570494989900043/) where you can find more information. I believe tickets are only $7 in advance and you get a free drink with that while supporting a great organization that works to protect one of the coolest, wild places on the planet! Posted in Grand Enchantment TrailTagged GET, Gila River, grand enchantment, Grand Enchantment TrailBookmark the permalink. Daniel, have begun to follow you again. Nice to see your great descriptive skills only get better with age. Lovely piece of writing. You have a knack for helping me “see” where you are and what you are feeling! So glad you are back in the saddle.